Notes: (Incor. 1818, as the Baltimore Second Dispensary; name changed, by act of Assembly, 1820) Baltimore St., east of Central Ave. Hours, 7 to 11 a.m. and 3 to 7 p.m., May 1 to November 1; 8 to 11 a.m. and 3 to 6 p.m., November to May. Object.– For the needy of east Baltimore. Outside visits are made to persons living south of Orleans and east of Calvert Sts. ; medicine given on prescription of any physician registers at the dispensary. Management.– By board of 12 directors. Supported by small income from invested funds and by a share of the fines from houses of ill-fame; at present used by the Supervisors of City Charities as the dispensary for the eastern district of the city. In 1900 the Dispensary had 16,100 patients; filled 22,865 prescriptions; and paid about 740 outside visits. 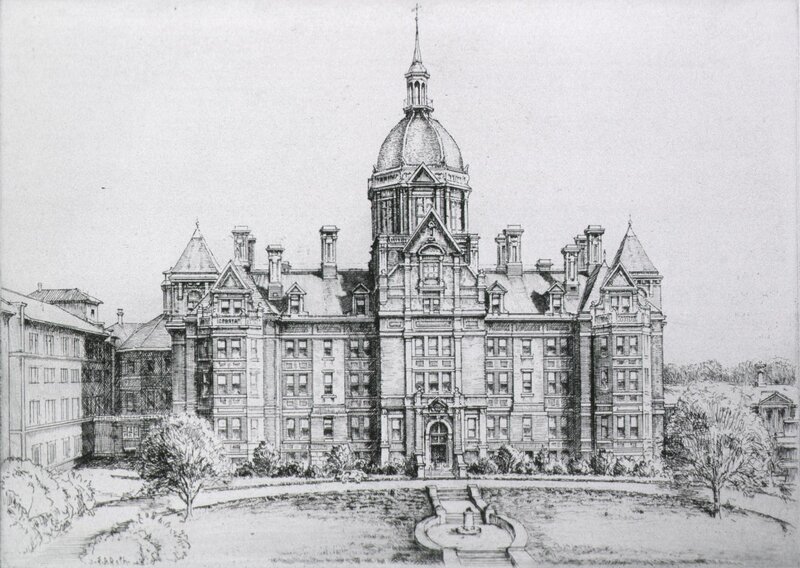 The one hundredth anniversary of the Baltimore Eastern Dispensary’s praiseworthy record of good work among the sick in Baltimore will be observed today. A noteworthy fact in this connection is that not one of the 763,000 persons to whom relief had been administered, nor any of the 391,000 treated at their homes in the one hundred years have paid one cent in return. The expense has been borne by the directors and private contributors. The physicians at the dispensary have prescribed and compounded, not 58,000 prescriptions as stated in some accounts, byt 587,000; and filled 87,000 others, free of cost, that were sent in. The dispensary building, which is located at the northeast corner of Baltimore street and Central avenue, will be decorated for a week in celebration of its anniversary.